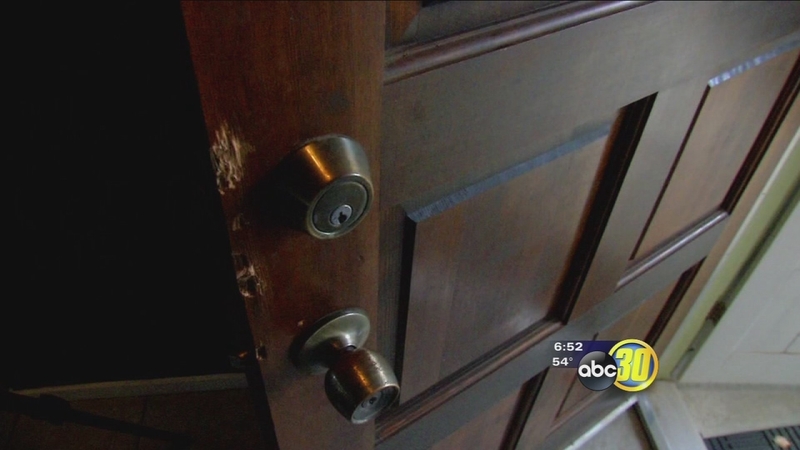 HANFORD, Calif. (KFSN) -- She wasn't home when it happened, but Roxeanne Cordova said her youngest son Ian stopped by at just the right time-- as burglars were in the process of ransacking the house, on Maxwell Drive in the middle of the day. "So I always just assumed that we were safe but no, you know, you're not safe." Cordova said her son saw a strange car in the driveway when he pulled up. Then he saw someone hop the side fence, so asked them what they were doing. "And he said, 'oh nothing,' jumped in his car, and took off. So my son got in his truck and chased him," said Cordova. But he lost the burglar on 9 1/4 Avenue, so turned around to go back to his mother's house. That is when he saw another suspicious looking person in the area, as well as a Kings County Sheriff's patrol car, which he waived down. "So the deputy detained him, notified us, as we got on scene, and we were able to piece together that he was actually part of the burglary," said Sgt. James Lutz, Hanford Police Department. Police said 18-year-old Johnathon Fletcher had a cellphone on him, belonging to Cordova. She said the burglars also stole some jewelry, and broke their front door, which they will have to replace. But she is proud of her son, for handling the situation well, and possibly preventing more burglaries. "He's my hero is what he is but even though he says no mom, no." Police are still searching for the two other suspects, including the person who got away in the gold-colored Honda. They are also looking for a suspect who took jewelry from a home on Rio Hondo Way two days earlier. A 26-year-old who was home at the time slept through the whole thing. And while home burglaries in Hanford may be common, police said installing surveillance cameras at your home can help them crack the case. "It's instrumental to solving the crimes. We've solved a lot of crimes that way through surveillance footage and some people might think it's small, petty, but a little bit of evidence of video can go a long way for detective bureau," said Lutz.